With less than $200 separating these two vehicles in base price, the question must be asked: Which is the superior compact sedan, the 2018 Volkswagen Jetta or the 2018 Subaru Impreza? We've already done the leg work, poured over spec sheets and determined that German engineering reigns supreme. With better fuel economy, more available engine power and a longer list of available and standard features, you get more value for your money in the 2018 VW Jetta. Best of all, you get Volkswagen's People First Warranty, with 6 years of bumper-to-bumper coverage that's even transferable. Come check out the best compact sedan around at our Seattle dealership location. Schedule a test drive online and experience for yourself the difference German engineering can make. Price-point isn't the only similarity between these two cars: With less than two inches separating them in overall length, width and height, these vehicles are virtually the exact same size — yet you (somehow!) get more rear legroom and a way bigger trunk in the 2018 Jetta thanks to the talented engineers at Volkswagen. They've also provided extra features both inside and out like standard LED running lights and speed-sensitive volume that adjusts the volume of the stereo to match road noise levels — neither of which you'll find on the base 2018 Subaru Impreza. Whether you demand top-of-the-line fuel economy or covet the speed and performance of a sport-tuned sedan, you'll find what you're looking for inside the 2018 Volkswagen Jetta. 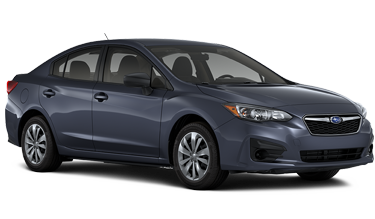 Where the 2018 Subaru Impreza offers two body styles and eight different trim levels with just one engine between them, you have three engines to choose from in the 2018 Jetta — all turbocharged. You can choose the 1.4L base engine for its 40 highway MPG capability, the bigger 1.8L version for 170 horsepower, or step up to the 2018 VW Jetta GLI and get a premium trim package both inside and out, plus a 2.0L powerhouse which makes up to 210 horsepower. Either way, you're getting more fuel economy and a lively driving feel from the turbocharged engine. On the other hand, the only engine choice for the 2018 Subaru Impreza is naturally-aspirated. Both the 2018 Volkswagen Jetta and the 2018 Subaru Impreza received a perfect 5-star overall safety rating from the National Highway Traffic Safety Administration. These are some seriously safe sedans — add on the available suite of active safety features, and they get even more safe. The 2018 Volkswagen Jetta is available with Adaptive Cruise Control, Blind Sport Monitor, Front Assist and Rear Traffic Alert. Comparable safety systems are also available on the 2018 Subaru Impreza. Unique to the 2018 VW Jetta, though, is Park Pilot, which provides audio cues and visual information in the dash for helping you squeeze into that tricky parking spot safely. Why Consider a Volkswagen for Your Next New Vehicle in the Greater Puget Sound Area? A new German-engineered Volkswagen comes with a level of performance, technology, and safety that's made it one of the most respected brands in the industry. The advanced Volkswagen TSI engines offer impressive power and efficiency while leading-edge technology like the VW digital cockpit offer a driving experience like no other. What's more, you can enjoy the precision and comfort of DCC® Adaptive Chassis Control for handling that the competition only dreams of. Consider a new Volkswagen equipped with the available 4MOTION® all-wheel drive for reliable traction in virtually any driving condition. There's a lot more to show you about the advantages that come with a new Volkswagen, so come see us today at Carter Volkswagen in Ballard, serving Bellevue and Renton, WA.